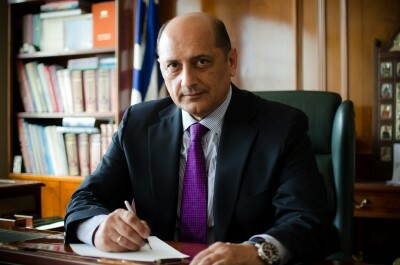 Petros Mantouvalos is graduate of the Law School of the University of Athens and Attorney at the Supreme Court. He holds a master’s degree in Environmental Law and he is a PhD candidate at the University of Piraeus in the field of International and European Studies. He is married to the lawyer Perry Theodorou, with the one he had two children, Sophia and Stavros. Exercising the active practice in many areas, he has handled critical cases which concerned the public opinion and the Press. Very early, he has developed an intense activity in the social and political life of the country, occupying crucial public offices, participating in numerous committees, councils and associations and serving his varied duties, always being guided by ethos and by the public interest. Member of the Greek Association of Criminal Law and of the Association of Greek Criminal Lawyers. During his longtime course, he has published numerous scientific papers on labor accidents and occupational diseases, television violence, euthanasia, on the institution of Justice, the Press, the Military Criminal Code, the criminal liability of doctors, the Economic and Monetary Union etc.